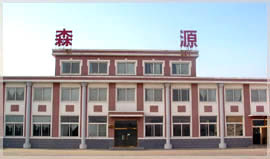 SENYUAN DOMESTIC ARTICLES (DALIAN) CO.,LTD. QUALITY FIRST IS OUR MOST IMPORTANT POLITY. QUALITY CONTROL HAS THE HIGHEST PRIORITY IN OUR FACTORY. ESPACIALLY, PAPER-PACKED CHOPSTICKS ARE OUR BEST PRODUCTS. IF YOU ARE NOT SATISFIED WITH MADE-IN CHINA PRODUCTS, THEN PLEASE CONTACT US.